The fan mode setting up on your thermostat for the 'On' position. Until your house is empty for a prolonged period, remain the fan to the On position. This permits the air circulation as well as promotes the enhancement for the entire comfort. Staying the fan On also strengthens your house's air filtration that is useful to boost up the resident's air quality. Replace your complete furnace or return air filters. Swapping those often-ignored air filters will enhance the house's air flow plus boost up the HVAC System Efficiency. This will definitely aid you in breathing easily with minimal sneezing. Duct registers as well as room doors should be remained opened. At the time manifold registers or room doors are not opened it's as similar as having a clogged bath tub drain. Conditioned air is not sufficient to flow adequately while it's being forced to circulate through the system. This can be a resultant of unwarranted wear and tear for the system. Don’t forget to stay entire registers open, even a little. Confirm the appropriate humidifier's settings. Several humidifiers comprise seasonal setting which is often overlooked from the inhabitants. If the manual setting for the humidifier is not done to the existing season the humidity levels in the house will not be impressive. The residence would be uncomfortable to a great extend plus condensation might take place, and believe us, you will never tolerate excessive humidity and condensation. Acquire regular maintenance for the humidifiers as well as other air quality equipment to get preserved from multiple complexities. Try to balance air flow. If a room doesn’t actually felt comfortable, visually inspect the duct work if you have easy accessibility. If your resident attains flex duct (movable foil ducts), check out for the kinks or angles over 120 degrees. Attempt moving the ducts a little to assist enhancing air flow. Give us pros at 905-910-1488 if this doesn't work. An installation of additional return air openings, duct cleaning, or a specialized air balance might be required. Cambridge Heating can make deliverance of these services for you. Here are multifarious other instructions you should consider if you just can't seem to make the temperature match your requirements. Zoned systems, particularly for 2 story (or more) houses is often the magnificent, quite low-priced solution for practically the entire usual heating and cooling issues. Contact Cambridge Heating at 905-910-1488 for a non obligated quote on a zoning system for your residence that could often be simply installed into your current HVAC system. 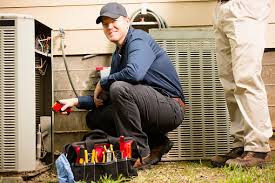 Routine A/C and furnace maintenance is still the exceptional method to not only obtain expert heating and air conditioning suggestions by a specialized HVAC technician; it could aid to safeguard future break downs of your furnace or cooling appliances.